Chelsea have secured passage to the knockout rounds of the Europa League and possibly secured first place in Group L after a foggy, contentious battle in Belarus. It took the first goal of the season from Olivier Giroud and the goal frame denying BATE on three occasions to get the result Chelsea wanted. 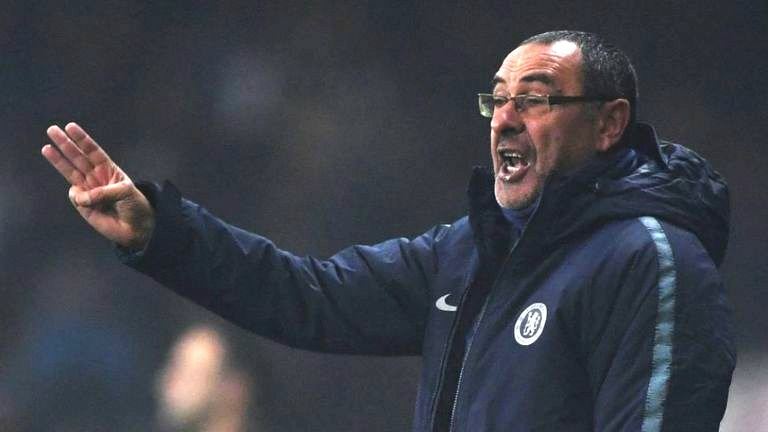 It wasn't easy and Maurizio Sarri only found a couple of bright spots in another disjointed performance from Chelsea's cup team. One was the score. The other was a breakthrough goal for Olivier Giroud, after 12 appearances and 574 fruitless minutes. Chelsea were keen to put their Europa League progression to bed, but misplaced passes, an eleven man defense from BATE and repeatedly trying to play through a packed middle delayed a Chelsea goal until the second half. Most of the crosses had come from Zappacosta's side until the 52nd minute, when Emerson put in a near-post ball that an onrushing Giroud glanced into the bottom corner. That did loosen things up, but almost at Chelsea's expense, as only the woodwork kept our clean sheet on two more occasions after the tally. Still, we're through to the last 32 and one point from the last two group matches will seal first place.